How do you know the cards without being marked? No need contact lenses, no need marked cards. Our newest perspective table can help you to solve this problem. 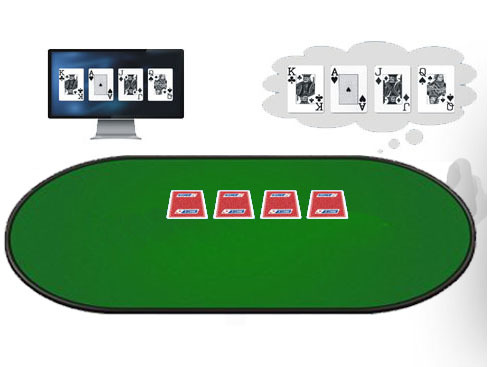 No matter what cards you used, when player folds they own cards in our special table, then you can see each player cards'points and suits on a small screen . Amazing products , it is worth for you to have a try , any requests or information you want to know, please don't hesitate to contact us! Content: Im interested in the brown contact lens with the center pupil as the infrared sensor. Id like to know how much, if there is a good infrared pen to write with; as well as payment options other than personal credit card; such as PayPal , square;Venmo, bitcoin, or a prepaid visa. Admin_reply: Thanks for your inquiry of brown contact lenses, please check the email for the reply. have a nice day! Admin_reply: Thanks for your inquiry of blue contact lenses, please check the email for the reply.have a nice day! Admin_reply: Thanks for your inquiry of brown contact lenses, please check the email for the reply. Admin_reply: Hi, Lonely, thanks for you rinquiry fo iphone 6 scanner, we have sent you email on email for the reply. Content: Hi there, Im interesred in these cards, and also in lenses. please contact me. thank you! Admin_reply: my dear friend, please check your email for reply. Wish you a happy new year 2019.